Some of you might have seen my post about the Colour Alike – Pastel Holo Set, my favorite nail polish set of all times. 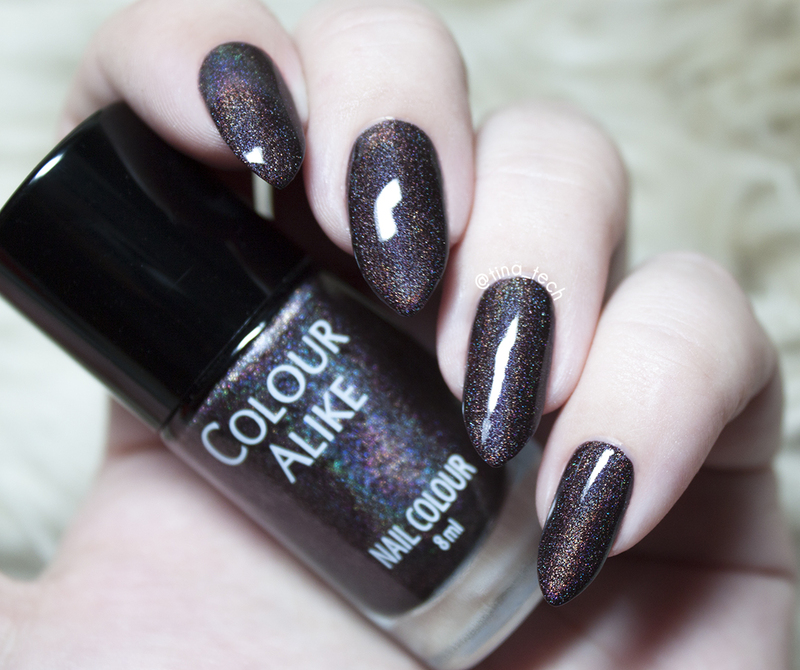 Well, Colour Alike has done it again, and this time it’s the Colour Alike – Dark Holo Set that’s up for review. 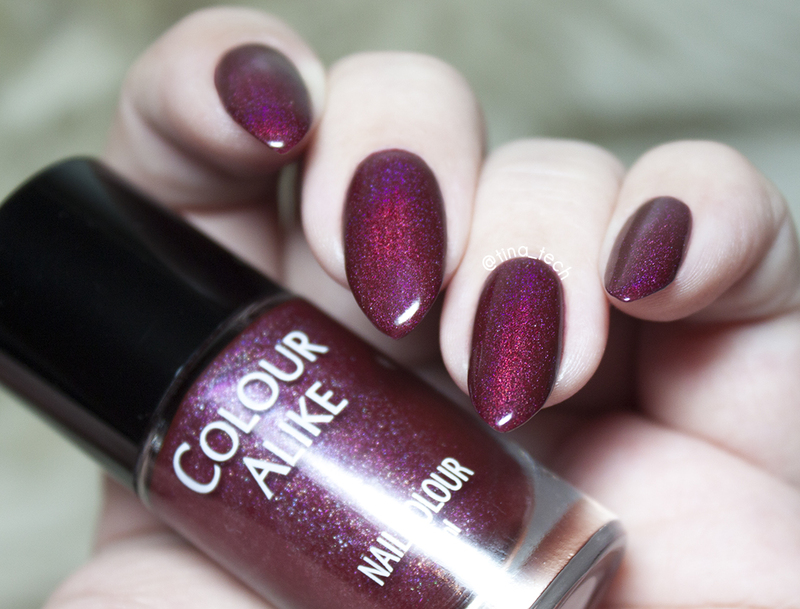 I am so amazed at the quality of the Colour Alike polishes. 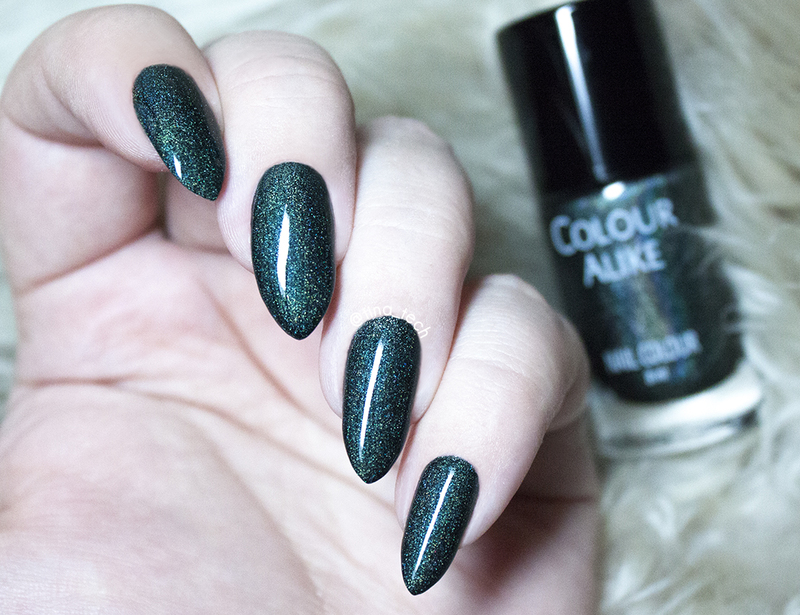 Before the Pastel Holo Set I had never heard of the brand and my expectations were low. 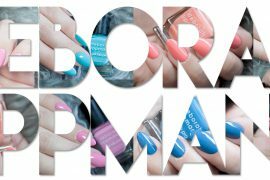 The application is so easy, they are highly pigmented so you only need one or two thin coats, and they smell amazing even though they are not advertised as scented polishes. 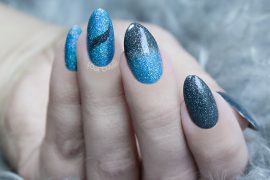 The holo effect is really spectacular and I always get compliments when I wear one of them. Next I have my eye on the Bright Holo Set, because it looks amazing! 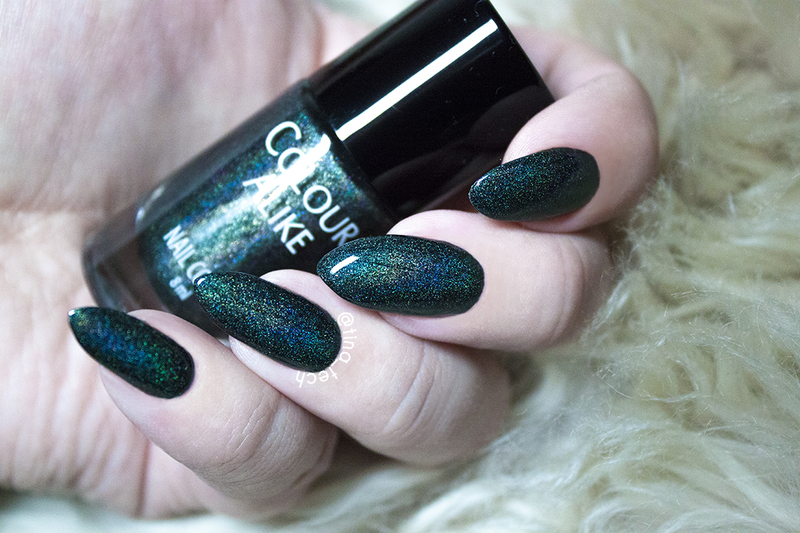 501 is a dark green holo with absolutely stunning light blue and green holo specs, and even though I don’t like green polishes, this one is too pretty not to like! 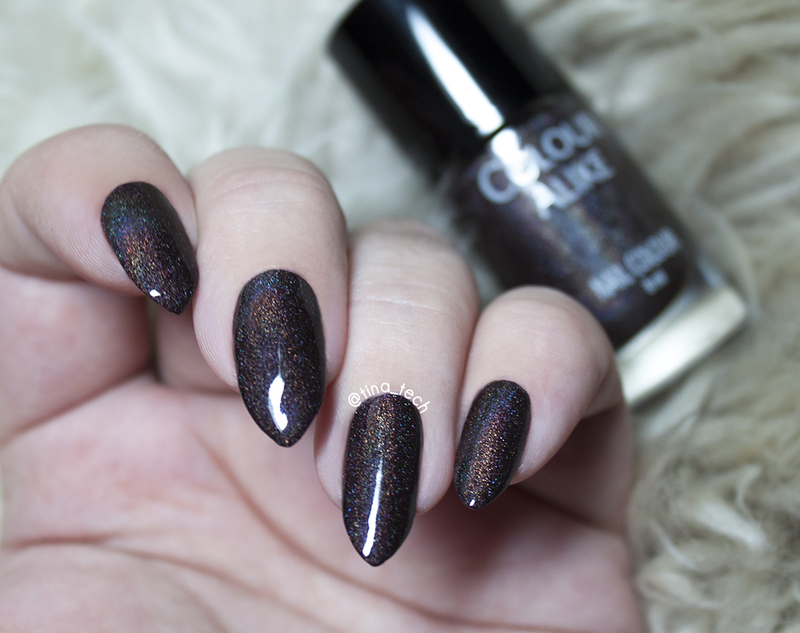 500 is a dark brown/blackish holo, not my usual cup of tea, but this was actually the one I got the most compliments for. 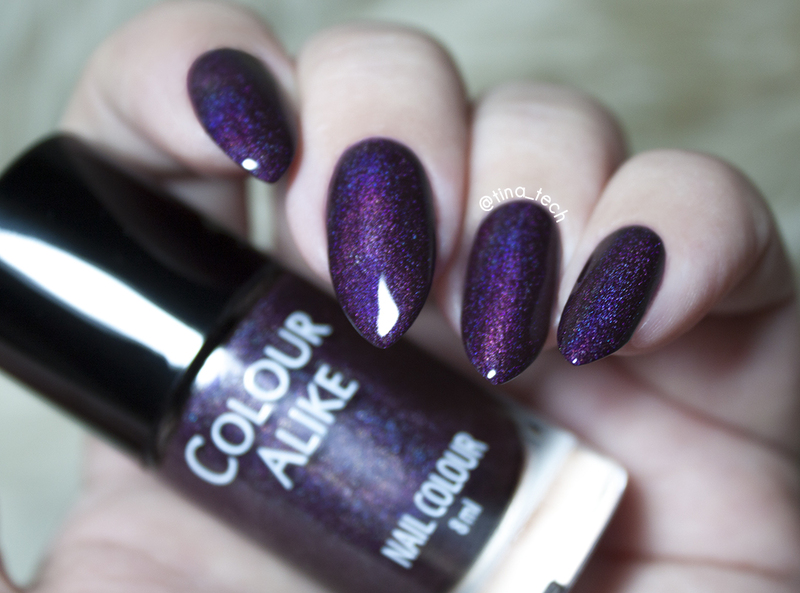 The holo effect on this one is insane, and truly gorgeous! This is my favorite out of the four, 503 is a delicious raspberry color, the color combined with the blue/purple holo specs makes this polish breathtaking! 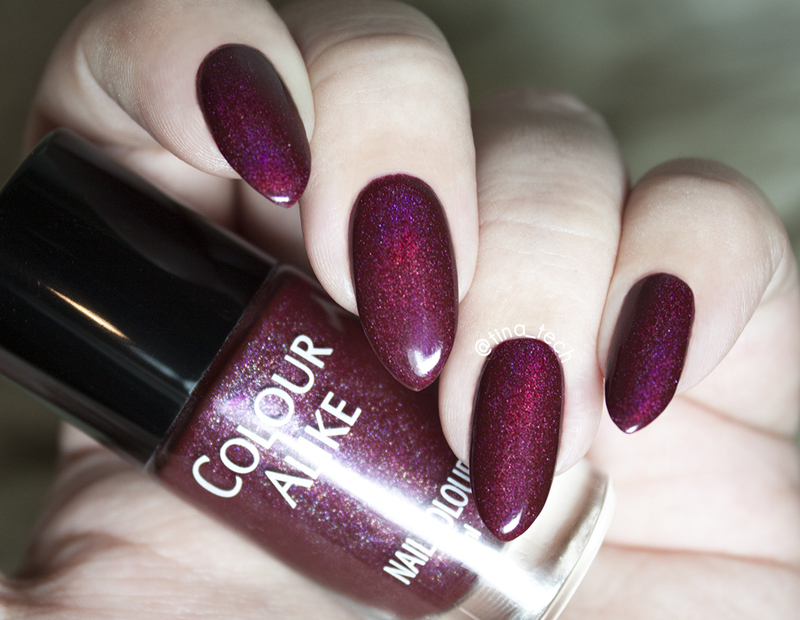 <3 This is a must have! 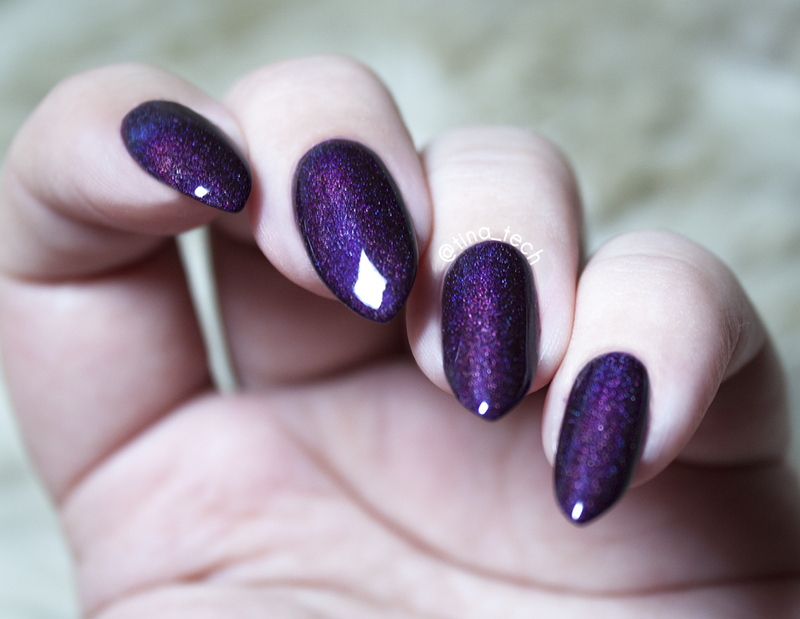 This one is so interesting, it’s a dark and mysterious purple/blue polish and when the light hits it, it’s sooo interesting and I really love it! 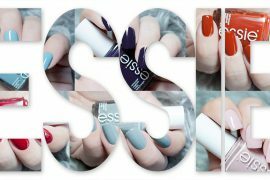 All of them are absolutely stunning, but because I am a big green polish fan, my favorite one would be Colour Alike – 501. Hi Tina, they’re all lovely on you but I can see why you got the most compliments when wearing “500”: to me it is almost a winter neutral and I can see wearing it with just about any outfit during the cold weather months. Ooooh my lord!!! 😀 Den mørkebrune var dødsfin! !